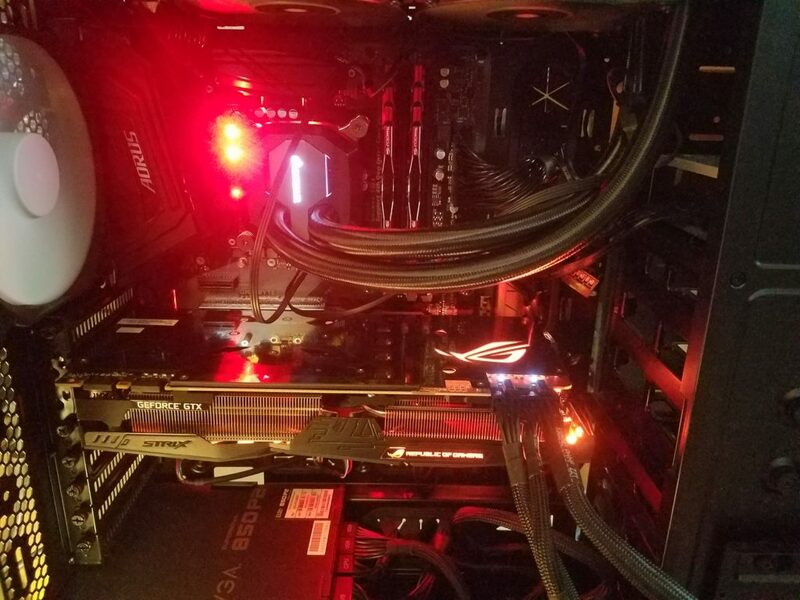 Here at Pensacola Computers we just completed a build today of one of the fastest gaming machines we have seen. 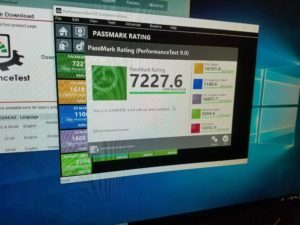 Using the latest 8th generation i7 8700k unlocked 6 core monster, in conjunction with the just released Z370 series motherboard, and sporting 32 GB DDR4-3000 memory along with a NVidia GTX 1080ti Gaming video, this machine boots to WIndows 10 in less than 5 seconds with the help of a PCI-E m2 Samsung 960 Evo SSD. It was a great and fairly easy build with the help of the excellent Phteks Enthoo Luxe case which has outstanding cable management and maximum expansion and full liquid cooling support. After making sure that temperatures were stable, we got WIndows installed along with the needed drivers and on our first unoptimized benchmark we saw what a great combination of parts this is, especially when looking at the 3D graphics score which was truly phenomenal. This system, on its first benchmark runs faster that 99% of the computers in the world, the graphics are faster than 99.9% of the computers – 16051 Passmark 3D score is INSANE for any single video card in the world! As the average GTX 1080ti card runs in the 13 thousands, this card running 16051 is outstanding. Below is a screenshot of the first Passmark on this system – this machine ROCKS! We built this system for both maximum performance and good reliability – the combination of parts just happens to work out amazing, and as all the components of this system are highly overclockable, this first performance test is just the starting point for what this system can do. With a budget of under $2500 we were able to put together a system that will outperform almost any computer out there. Fully VR ready, 4k capable, with graphics that can play any game on ultra max settings and a processor that will easily keep up, this system has been on of the most fun builds we have done.